Many people have a dream to live in a wooden house. Especially those ones who live in a block of flats built with bricks or concrete. Everybody knows that a tree has many positive advantages. It is also a very nice and elite house which is available for many people. 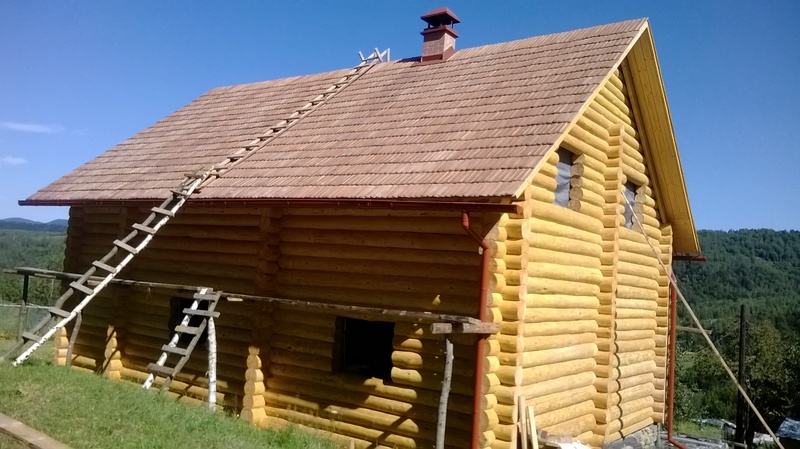 Have you decided to build a wooden house? And then you will have a question how should you insulate the floor in the wooden house? Much depends on the choice of materials. The choice also depends on your wish and possibilities. Nowadays we have many kinds of insulation and many ways of it. 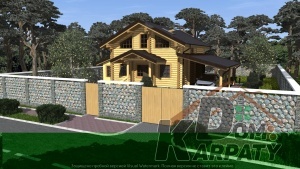 The company Karpaty-Dom offers you insulation with mineral wool and foamed plastic. This kind of materials is very popular now. It is an ideal combination of price and quality. The main advantages of these materials are: the high heat index, low water vapor permeability, incombustibility, resistance to chemical influence, good soundproof. Our workers do the following: lay foamed plastic, do concrete screed, put up wooden beams, lay pressed mineral wool between beams and put insulation film. And your insulation is ready! The quality of the insulated floor depends on the chosen materials and professionally performed works. Our company has been building such houses for many years. The experience of our workers gives the right to give advices and offer better variants concerning treatment of the interior rooms. There are also some other materials for the hosts who like to save money. They may choose some variants according to their climate and geological peculiarities of the land plot. Highly qualified and experiences workers perform all the works in short terms and with high quality. Karpaty-Dom – is a coziness, comfort and a great taste!